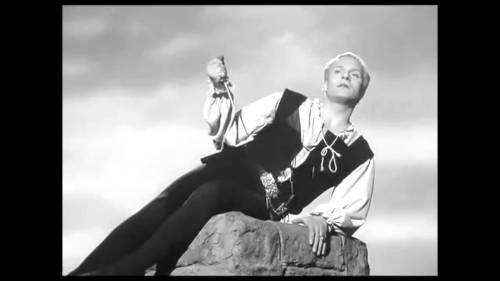 “To be, or not to be, that is the question.” This, of course, is the beginning of Hamlet’s famous soliloquy, in which he contemplates ending his life in order to escape his suffering. Only the fear of death stays his hand. In today’s Gospel reading, St. Peter proposes another solution to the question of suffering: living in denial! When Jesus shares with his disciples that he must suffer and die at the hands of the authorities in Jerusalem, Peter protests. A literal translation of what he says is “May God be merciful to you! This will never, ever happen to you!” Although couched in pious terms, Peter is advocating a form of pretense: “Let’s pretend that God never lets bad things happen to good people.” But in fact, God does not always spare good people from suffering. God has not spared the good people of Houston from suffering. God did not even spare his only Son from suffering. Jesus offers a third approach to life’s suffering, advocating neither self-destruction nor living in denial, but faithful and purposeful endurance. Jesus’ response to Peter, literally translated, is “Keep following behind me, Satan! You are a snare for me; for you are not thinking the things of God, but the things of human beings.” Jesus recognizes the trap that Peter’s pious fiction presents. He knows what he must suffer. He knows that giving into the temptation to save himself would cost the world its salvation. The famous phrase “Get behind me, Satan!” is not the best translation. Jesus is not telling Peter the Tempter to hit the road. Jesus is telling him to be a loyal disciple and to follow Jesus’ lead. Jesus then elaborates on what is required of those who would follow him and save their souls: they must practice self-denial and take up their cross. First, let me say what self-denial is not. It is not denying our own self-worth; we are, after all, children of God, made in God’s own image, and heirs to God’s Kingdom. So what then are we supposed to renounce? How about this! Renounce self-absorption and self-interest. Renounce false pride. Renounce the desire for wealth and power. And perhaps most difficult of all, renounce the expectation of comfort and stability in your life. For only by saying no to all these worldly desires can we unreservedly say yes to God and to God’s Kingdom. Now a few words about taking up the cross! 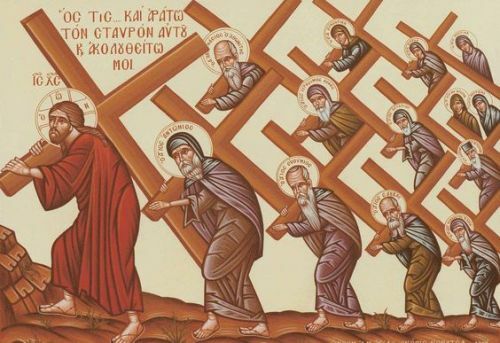 When Jesus tells his disciples to take up their cross and follow him, it sounds like there is some single cross, some single source of suffering, that we are meant to endure. I would like to amend Jesus’ injunction slightly—instead of “Take up your cross,” I propose “Take up your crosses.” Yes, for some of us, there is, in fact, a single giant cross looming in our lives—a cancer diagnosis, a divorce, the loss of a loved one. But for many of us, it is more like a thousand little crosses that we are called to take up and bear. We are confronted with Hamlet’s “sea of troubles” and his “thousand natural shocks that flesh is heir to.” It’s the hip that needs replacing, the knee that can’t take your full weight, the hand that can’t grasp a coffee cup anymore. It’s realizing that you need a cane or a walker to move about safely or that you need a home companion to help you through your daily routine. It’s the bouts of depression and anxiety and loneliness that rob your life of even simple joys. These are among the countless little crosses that so often burden us. But at the same time, these are the thousand little crosses that Jesus would have us bear for his sake. Paradoxically, in this very same Gospel, Jesus assures us that his “yoke is easy” and his “burden is light”! How can these scriptures be reconciled? How can these crosses be called light? Well, first let me say that nowhere in Jesus’ command to take up our crosses does it say that we have to do it alone! Remember Simon of Cyrene? Even Jesus himself needed help carrying his cross. And we are not alone! We have a somewhat tattered social safety net. We have our family and our friends. We have each other in the Church. And most importantly, we have a divine Helper in the Holy Spirit. None of these helpers should be despised! And we should never be too proud to ask for help when we need it—it is that very kind of false pride that Jesus is asking us to renounce! So, having taken up our crosses, how then are we to get behind Jesus and follow his lead? Today’s reading from Paul’s letter to the Romans gives us a whole laundry list of helpful hints in this regard. But I would like to focus on just one of Paul’s suggestions: “Contribute to the needs of the saints.” By this he simply means, care for fellow Christians when they are in need. 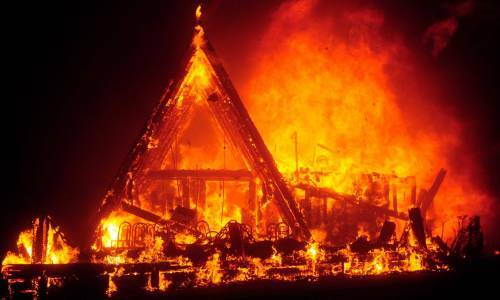 And right now in Texas, there are a lot of fellow Christians in dire need. There are a lot of fellow Christians who are stumbling under the burden of their crosses. Some people have lost their loved ones. Many more have lost their homes and all their belongings. This parish must do its part to contribute to the needs of the saints in Texas. 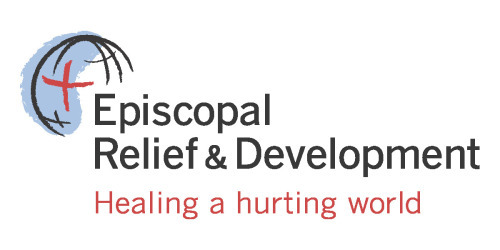 So, I am asking you to write a generous check to the “Rector’s Discretionary Fund.” Put “hurricane relief” in the memo line, and get it to me by next Sunday. I will then send the amount collected, and just a bit more, to Episcopal Relief and Development, who will distribute the money to the victims of Hurricane Harvey. Regrettably, human suffering is all too real, and so it calls for a real and appropriate response. For Christians, the response to suffering is neither to end our lives in despair, as Hamlet proposed, nor to deny the reality of suffering, which was St. Peter’s approach. Instead, we are called to shoulder our crosses and to keep trudging along behind our Lord Jesus, helping one another when the burden of those crosses becomes too much to bear alone. © 2017 by Darren Miner. All rights reserved. Used by permission. Take Up Your Cross and Follow! “Get behind me, Satan!” and “Let them take up their cross!”—these are the two standout phrases from today’s Gospel. Now, the word gospel, by definition, means Good News, but the Good News in these two phrases is far from apparent. One phrase is a harsh rebuke. The other phrase is an order to carry a deadly burden. No, the Good News is not apparent, but it’s there nonetheless. Let’s start at the beginning. Today’s reading from Mark, chapter 8, takes place immediately after the Confession of Peter, in which that saint rightly identifies Jesus as the Messiah. Despite the fact that Peter got that bit right, Jesus knows full well that he is not the kind of Messiah that Peter and the other disciples expect. They expect a military leader who will free the people of Judea from the yoke of Roman imperial rule and who will sit on the throne of David. 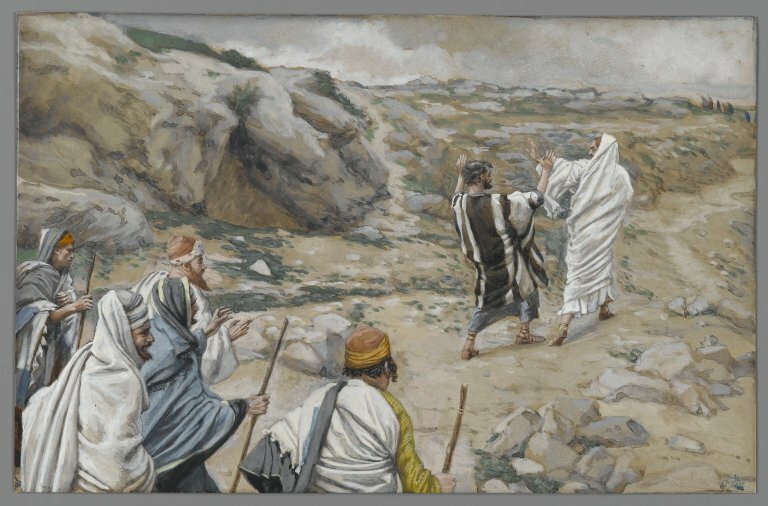 Dashing the disciples’ hopes, Jesus begins teaching them that this Messiah “must undergo great suffering…and be killed.” Peter is understandably dismayed. So he takes Jesus the Messiah aside and attempts to set him straight. There’s a bit of a role reversal going on here. Peter assumes the role of the master correcting an errant disciple. But this attempt at role reversal doesn’t last for long. Jesus turns his back on Peter, addresses the on-looking disciples, and rebukes Peter, saying: “Get behind me, Satan! For you are setting your mind not on divine things but on human things.” It was a teaching moment intended not just for Peter but also the other disciples. Jesus’ rebuke of Peter comes across as unduly harsh (at least in the English translation). Here, as is sometimes the case, a knowledge of Greek can further our understanding. That command “Get behind me!” is ambiguous in the original Greek. On the one hand, it can mean something like “Get out of my way!” On the other hand, it can mean something quite different: “Keep following my lead!” I suspect that Jesus intended the latter meaning. He is not pushing Peter aside; he is reminding Peter who is the leader and who is the follower. As for calling Peter “Satan,” that was to drive home the point that Peter was playing the part of the Tempter, even if unintentionally, by encouraging Jesus to avoid death on the Cross at all costs.